By Liila Hass – What do we mean by “social change”? When we look all around us, and wake to gross economic injustices, the treatment of asylum seekers, the wanton destruction of rainforests, the abuse of farm animals, the wiping out of diversity of species, all for profit and the hoarding of wealth, many of us are called on to assess the root causes of these practices. How is the gap between what we might most value and what we actually experience so huge? What follows is an opportunity to join with others to replace our current direction with a more just and kinder social order. We consider efforts such as this to be the basis of social change, for in finding others who also care about the planet and also value fundamental human rights, we are able to create a voice for the voiceless. When I first moved to Tasmania, I was struck by the polarization between the environmental groups (the “Greenies” as environmentalists are known) and their opposition: “The Loggers”. All environmental discourse seemed to revolve around the needs of these two groups. The loggers, supported by the government, wanted jobs, and blamed the Greens for their plight. The Greenies, on the other hand, wanted to save the old-growth forests from destruction, as well as stop the decimation of native animal species through loss of habitat, 1080 poisoning and other means of destruction. The Tasmanian Tiger had already gone extinct and the Tasmanian Devil seemed set to follow in its course. However, when I reflected on the issues at hand, it seemed to me that this was more of an economic argument than an environmental one. Though the loggers blamed the Greens for low wages and lack of work, still another group was hiding in the wings. The timber companies that plow through our precious natural resources are large transnational corporations, quite content to let the loggers blame the Greenies, meanwhile diverting all the profits to overseas CEOs and board members to use for yet another Mercedes or high-end apartment complex. Tasmania has the lowest Gross Domestic Product (GDP) in Australia, the highest number of high school drop-outs, the lowest rate of literacy, and the highest rates of teenage pregnancy, unemployment and youth suicide. As I came to settle in my new home, I wondered where I fit in and how I might help play a role in improving Tasmania’s socio-economic problems as well as raising awareness about the deeper issues of economic disparity and the powers at play. I figured that nothing beats education in helping the average person to understand what really is going on behind the scenes. With these ideas in mind, during 2005, along with several friends, I launched the non-profit, “Future Tasmania”. At the time, it was just an idea, with no name, no framework and no Internet presence. Over the years, by hook or by crook, it’s grown into a statewide organization, with a membership of some 500 people, a website, Twitter and Face book pages, a monthly newsletter and a major player in Tasmanian community engagement. We have put on six annual conferences, several smaller workshops and seminars, hosted the Dalai Lama during His Holiness’s only visit to our island, and helped motivate citizens to run (successfully) for office in state and local politics. We have been on the news several times, have had a voice on local, state and national radio and have also been in the print media. During 2012, we graced the cover of the Southern Tasmanian phonebook and have been the recipient of an environmental award as well as given several school awards. We have hosted politicians and other government and economic leaders and have been able to offer volunteer internships for students and social change thinkers. This is the legacy I will leave behind, as I plan my move from Tasmania later this year, but what a thrill it’s been. What I feel is critical in bringing people together is to have a vision, to find like-minded people in the community who are respected, and to work with them in every way possible. Doug McKenzie-Mohr, a Canadian environmental psychologist who has studied what it takes to create change in communities for over 30 years, points out that the best way to create change is to firstly identify the community leaders. These are not necessarily those with the most fancy cars or biggest houses, but rather those people in the community to whom everyone looks up and wants to emulate. Once those people are identified, if they can be convinced to change, then others will quickly follow suit! Thus, with social change movements, the first step is to identify these key players and go after them as catalysts of change. The second important step is to create a sense of community identity—to find those people around you who have a similar sense of justice, and who have common interests, concerns, and so on. It is these people who may be able to in fact help work doggedly toward change. Such a group is known as “Samaja”. What is samaja? It’s a Sanskrit word that captures the concept of groups of like-minded people working together for social change, “marching of all together, inspired by the same ideology, towards a common goal” (Sarkar, Human Society, Part 1.) Usually, a samaja is created based on common socio-economic interests, and can include geographical boundaries, language, cultural and social customs. Such people are able to merge their socio-economic interests with those around them and work toward creating a common platform, or movement, for change. It is on such an idea that an organization like “Future Tasmania” hinges. Though not everyone in the organization has the same exact goal or exact picture of what lies ahead, most members have a vision of a just society, with basic freedoms, socio-economic prosperity, natural beauty, safety, and all-round artistic, aesthetic and other pleasures. Once such a group forms, offering the members a practical framework, such as cooperative models for running businesses, or models of effective and just governance, based on principles of ethics and fairness in alignment with those advocated by PROUT, transforms the society into the vision to which all can aspire. Sarkar, P. R. (1959). Human Society, Part 1. Calcutta: Ananda Marga Publications. 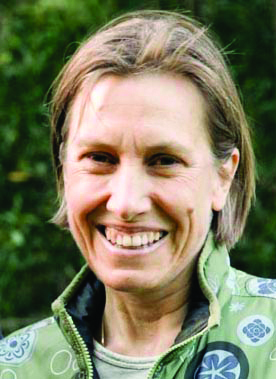 Liila Hass is the Founding Director of Future Tasmania and a recent recipient of the Jan Lee Martin Scholarship, Melbourne University School of Business Executive Education. 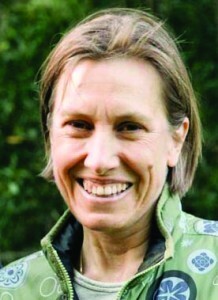 She is a graduate of the Tasmanian Leaders Program and has trained with Al Gore as a Climate Change activist.